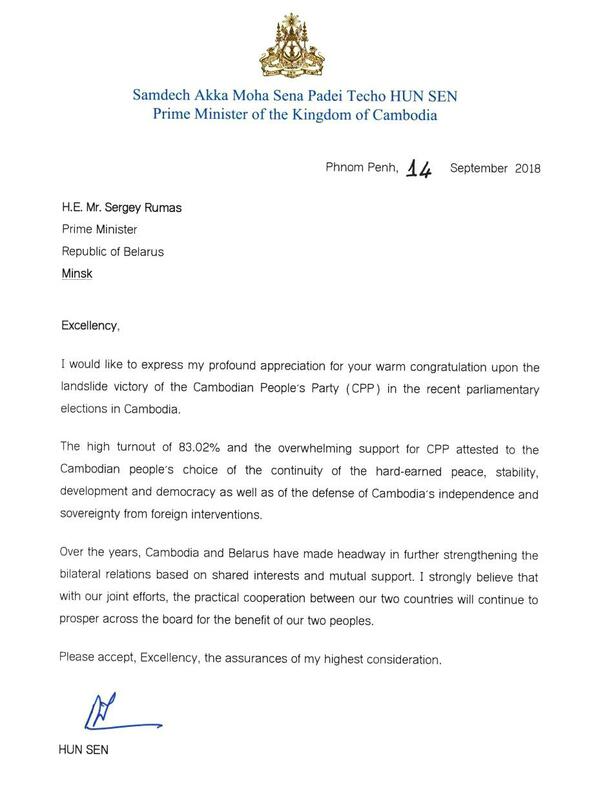 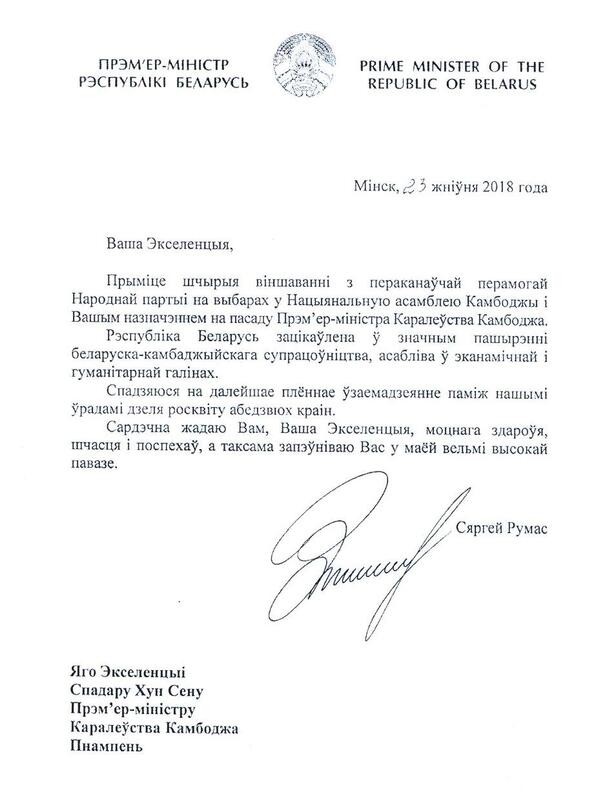 Phnom Penh (FN), Sept. 14 – Cambodian Prime Minister Hun Sen sent a thank-you letter to Prime Minister of the Republic of Belarus Sergey Rumas for congratulating Cambodian People's Party (CPP) over the victory of general election 2018, according to the Samdech Hun Sen’s letter addressed to Sergey Rumas dated on 14 September 2018. 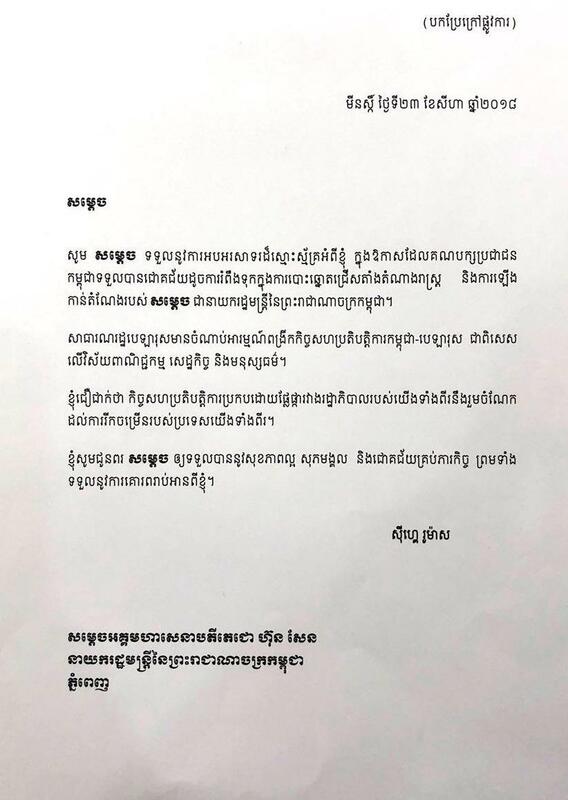 “I would like to express my profound appreciation for your warm congratulations upon the landslide victory of the CPP in the recent parliamentary elections in Cambodia,” Prime Minister Hun Sen wrote in the letter. 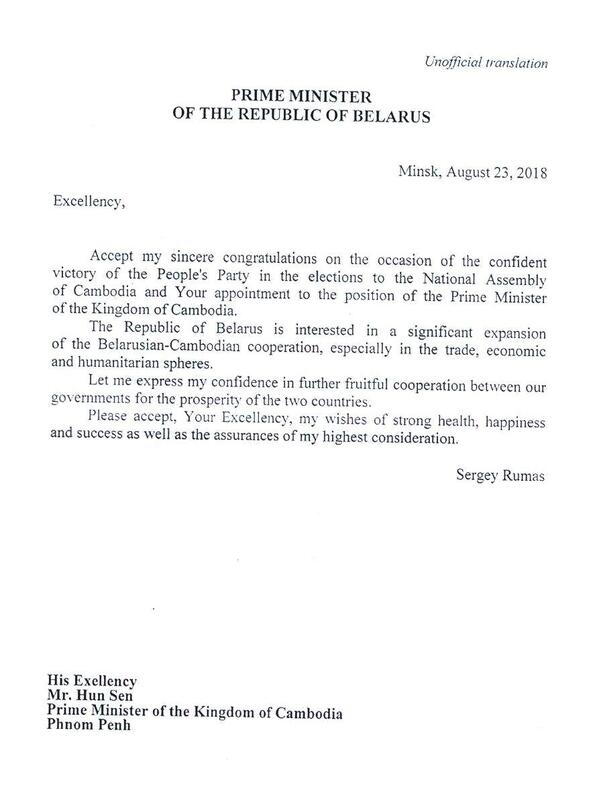 “Over the year, Cambodia and Belarus have made headway in further strengthening the bilateral relations based on shared interests and mutual support,” he added.